Once enrollment has been opened, students may register online through Genisys for the courses they wish to take. Access Genisys through the MyRegent portal. For more information about registration, download the Steps to Register guide. For a two-week period, beginning on the first day of the university-defined term or the start of each 8-week session, students may add or drop classes and receive a 100% refund of tuition and fees. View the online Course Schedule. Before Term Starts: Students may change their class schedules online via Genisys until the day before the term starts. Graduate Law students are issued a “time-ticket” for their online registration period. Please save or print the receipt that you receive when you submit your registration request. This is confirmation that you have successfully submitted the request. Auditors are students who enroll for a credit course on a noncredit basis. They must enroll through regular admission procedures. Audited courses appear on transcripts without credit. Students auditing a course will pay half of the tuition fees and financial aid will not be applied to such courses. Students taking courses for credit shall be given enrollment priority over auditors. Regent University can help you complete your degree faster by maximizing your qualifying transfer credits. Review information on undergraduate transfer credit and flexible transfer options. Students interested in cross-registration may contact the Registrar’s Office at 757.352.4094. Cross-registration permits students at any Virginia Tidewater Consortium (VTC) institution to take courses at any other VTC institution (host institution) yet earn credit for the courses at the student’s home institution. Students must be in a degree-seeking program and in good academic standing. For undergraduate students, cross-registration credit is limited to 30 credit hours. For graduate students, cross-registration is limited to the total of credit hours that is equal to no more than 25% of a graduate degree’s total credit hour requirements. Only regular on-campus credit courses may be taken through the VTC. Courses taken through cross-registration must be on the student’s Approved Degree Plan. Pick up VTC registration form from the Registrar’s Office. Read and sign Regent University VTC Policy. Fill out the top portion of VTC cross-registration form and note class(es) he/she wishes to take. Take VTC cross-registration form to advisor/school for approval. Bring the form to Regent University Registrar’s Office for approval. Take the form to host institution for registration on roster and host institution’s Registrar’s Office approval. Once fully signed and approved by both institutions, bring a white copy of the form back to Regent University Registrar’s Office for processing. When necessary, the student must certify that he/she has met course prerequisites. When a student enrolled at Regent University cross-registers to a VTC host school, the credit is earned at Regent University and will be so posted on the student’s transcript as resident credit. In this instance, the grading system of Regent University will apply to the cross-registered student. Another VTC institution will not issue a transcript to a cross-registered student which it hosts. Tuition will be charged by Regent University for a cross-registered course taken at a VTC host institution. The cross-registrant must assume costs of all transportation, books, materials, lab fees, applied music fees, etc. at the host institution. Normally, the desired course must not be currently available at Regent University. Students will be governed by the administrative rules and regulations of the host institution while in attendance there. No changes or corrections can be made on the Student Cross-Registration Form. The cross-registered student must follow the drop/withdrawal regulations at both the host institution and Regent University. Any eligible student wishing to enroll in a course that has reached its authorized capacity may add him/herself to the waitlist for one or more sections of that course via the Genisys registration module. Students with administrative or academic holds should contact their Academic Advisor for registration assistance. Type in the CRN number in the add/drop box at the bottom of the page, then select “Submit Changes” in the bottom left corner of the page. If you need to Waitlist, you will get a drop-down field next to the course title that says “none” for action. Select the drop-down arrow so that the field states “Wait list web.” Then select “Submit Changes” in the bottom left corner of the page. Check your Regent email account daily for notification of available seats. Follow steps 1-5 from the “How to Add Your Name to the Waitlist” process stated above. Locate the CRN number of the course you wish to drop. You will get a drop-down field next to the course title that says “none” for action. Select the drop-down arrow so that the field states “Web Drop.” Then select “Submit Changes” in the bottom left corner of the page. To confirm that you have been removed from the waitlist, view your “Student Detail Schedule. Students are waitlisted in the order in which they attempt to register for the course. The university reserves the right to reorder the waitlist priority in certain special cases (such as disability accommodations, senior standing, etc.). The first student on the registration waitlist is notified via email when a space becomes available. This student then has a maximum of 24 hours to register for that section. It is the responsibility of the student to check her/his Regent email account regularly for notifications regarding available seats. If the student does not register for the section within this timeframe, he/she will be dropped from the waitlist for that section and the next student on the list will be notified. Course waitlists are generated and maintained by the Registrar’s Office. Course instructors cannot authorize enrollment for waitlisted students. A student on a waitlist is not officially enrolled in that course and thus is not eligible to receive financial aid or a grade for the course. Students must meet all registration requirements (prerequisites, co-requisites, financial obligations, etc.) for the course before being allowed to register. If a student no longer wishes to remain on the waitlist s/he should drop through Genisys as a courtesy to other students. Course waitlists are maintained through the end of the first week of each term for all students. After the first week of the term the Registrar’s Office will close all waitlists and remove the remaining students from the lists. Withdrawal from a course may have significant financial aid consequences. Students are responsible for seeking counsel from the Student Financial Aid Office. A $25 late fee will be assessed on all first-time graduation applications submitted past the deadline. If your Degree Works worksheet is 100% complete, your paperwork will be sent to your school for approval and then to the Registrar’s Office for processing. If all your requirements are complete, the Registrar’s Office will post your degree and you will receive an automatic email notification at your Regent email account to let you know that it has been posted. You will also be able to see your degree awarded on your unofficial transcript in Genisys. Degrees are usually posted within 2-6 weeks after all grades are received. The Registrar’s Office is aware that many students have deadlines for job applications, licensure, raises, etc. and we work to process degree paperwork as quickly as possible. Students earning a degree will have a complimentary degree-posted transcript sent to the address on file with Regent. This transcript is intended for your records and will not be sent to someone other than the graduate. Diplomas and certificates are ordered from the printer at the end of each month (bi-monthly during high volume times) and generally arrive within 6 to 8 weeks. You will receive an email when the diploma and/or certificate is mailed so that you have a better idea of when to expect delivery. For important information concerning graduation requirements, please note the Regent University Graduation Policy, as described in the university catalog. Graduation Date: The official date of graduation or certificate completion is based on the completion of degree/certificate requirements for each student and is determined by the semester in which the student completes all degree program requirements. The official graduation date is NOT based on when the student participates in commencement. Degree Conferral Dates: There is one official university conferral date per semester. Students who complete their degree requirements (dissertations, theses, and portfolios must be Accepted via ProQuest) anytime within a semester will be given the official degree clearance date for that semester. Degrees are posted on or after the official university degree date for the semester. Please refer to the academic calendar for specific dates. The official degree conferral dates for 2018 are: May 12 for spring graduates, August 18 for summer graduates, and December 22 for fall graduates. Issuance of Diplomas/Certificates: Diplomas and certificates will be issued only after all graduation requirements have been met. This includes clearing any outstanding balance, library fine and/or parking fine. New Graduation Application: If a student is not cleared in the term for which the graduation application is filed, a new graduation application must be submitted for the subsequent term in which all requirements are met. The graduation fee, however, is only paid once. F-1 Student Visa Holders: If you are an on-campus F-1 student visa holder, you must submit the F-1 Student Program Completion Form to the Office of International Student Services (OISS) at least 45 days prior to your graduation date. For more information, contact the director of International Student Services at 352-4130. Regent University diplomas and certificates will be issued and posted on transcripts only after all graduation requirements have been met. This includes clearing any outstanding balance, library fine and/or parking fine. One complimentary copy of your transcript will be sent to you when your degree is posted. Graduates are responsible for ensuring the accuracy of their address in Genisys after graduation and updating it if necessary. If no address is provided, the final active address listed in Genisys is used. If the diploma is returned as undeliverable, additional fees may apply to ship the documents to a forwarding address. If the diploma is misdirected because the graduate has not updated their address and the diploma is not returned, the graduate must order a replacement diploma. Graduates must report any errors or issues with their diploma within thirty days of receiving it. Graduates must report any missing/undelivered diplomas within ninety days of their degree posting. Beyond these timeframes, they will be charged a replacement fee (see below). If your diploma has been lost or damaged, you may order a replacement diploma by submitting a Diploma Replacement Form to the Registrar’s Office. Final, official grades may be viewed in Genisys via your personal student account. They may be available in Genisys but cannot be guaranteed before the published due dates. 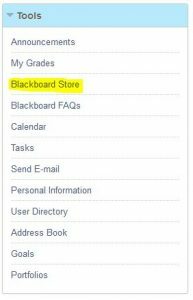 Grades posted in Blackboard are not official and are not an indication that your grades have been posted to your official transcript. Instructors enter their own grades. If you are missing any grades, please contact your instructor and/or dean’s office. Grade changes may only be made at the discretion of the instructor/dean. Grade change request forms are available to faculty in the MyRegent Portal under Staff and Faculty e-forms. Grade changes must be submitted by the instructor to the dean’s office. The school then sends the approved grade change form to the Registrar’s Office for processing. Grade changes are processed in the Registrar’s Office within 1-2 business days once received. For assistance and/or information concerning your grade change, please contact your school. Please refer to the Commencement website often for the latest and most accurate information on graduation-related activities and ceremonies. For additional information, please contact the Registrar’s Office. In order to officially graduate and/or participate in Commencement, candidates must first complete an application to graduate. Deadline: September 15 for fall graduates; December 1 for spring and summer graduates. Late Fee: $25 on first-time graduation applications submitted past the deadline. Wondering when your degree will be posted? Access information about the degree clearance process. For information regarding your specific paperwork, please contact University Advising. If you are graduating from your degree program and utilized federal student loans, you must complete Loan Exit Counseling before you can receive your final official transcript and diploma. Loan Exit Counseling can be completed online at www.studentloans.gov. You can also attend an on-campus exit counseling group session at the end of the semester. Commencement 2019 will be held on the Regent University campus in Virginia Beach on Saturday, May 11, 2019. In the past, the processional has begun promptly at 9:15 a.m. and the ceremony ended approximately at noon. Commissioning Services vary by school. For more details about Commencement & Commissioning, including information about RSVPs and regalia, please visit the Commencement page. Answers to Frequently Asked Questions are helpful as well. Log in to your MyRegent portal account. Select “Genisys” on the left of the screen. Access the Regent Degree Works FAQ page for more information. Our Academic Advisors are here to help you with course selection and determining program requirements. Please note: Degree Works is designed to enhance academic advising; it does not replace personal consultations with your academic advisor. Using National Student Clearinghouse Student Self‐Service, you can print enrollment verification certificates, order transcripts, or view your enrollment history. Click here to access the National Student Clearinghouse Student Self-Service. For students who cannot use student self-service for enrollment certifications, please fill out the Certification of Enrollment Request to have a certification of current enrollment sent to you or a third party. Processing the form takes 3-5 business days. Please Note: Only certifications for past or present enrollment will be issued. Certifications for future terms cannot be issued regardless of registration status for any future term. Loan Deferment forms from your lender may also be mailed or faxed to the Registrar’s Office for processing. Please refer to the introduction of this page for contact details. Processing forms takes 3-5 business days. If your enrollment status or pending graduation date is reflected incorrectly in Genisys, please submit the Time Status/Expected Graduation Date request. For more information on loan deferment, refer to the Loan Deferment FAQ section of Resources. Learn more about transcript services for new applicants, students and alumni. Most forms require Adobe Acrobat to view and print, and must have the appropriate signatures for authorization. We are currently unable to accept digital, electronic, or cursive font signatures. You can submit completed forms through email, fax, mail (please clearly mark your return address on the carrier envelope) or by dropping them off at the Registrar’s Office. The introduction of this page contains all contact details. What is an In School Loan Deferment? An “In School Loan Deferment” is for those students who took out loans in their undergrad or at a previous school and now want to defer (put off) paying those loans back until they are finished with graduate school. How do I know if I qualify for an In School Loan Deferment? If you are registered at least half-time in a degree-seeking program, you are more than likely eligible for an In School Loan Deferment. The best way to find out is to contact your lender and ask them for their specific requirements. I have my In School Loan Deferment Request form. Now what? Now that you have your form, all you need to do is verify your address, sign it, date it, and turn it into the Registrar’s Office. We will verify your status and send it on for you. What exactly is the National Student Clearinghouse (NSC)? The National Student Clearinghouse is an organization that Regent University utilizes to report students’ status to participating lenders. Regent University electronically files a report of each student’s status with the NSC three times per semester. Lenders in turn access the NSC records and update their borrower’s information and statuses. My lender wants a letter from the University, stating that I’m a student. Where can I request such a letter? When the lender requires more than the In School Loan Deferment request form, the Registrar’s Office is here to help. We have certification of enrollment request forms available in our office, as well as on the Registrar’s Office website. Simply fill out the form, turn it in, and the Registrar’s staff will have the letter out on your behalf as soon as possible. These letters can be used for a variety of other purposes as well. Some common needs are for insurance purposes or to receive discounts from car dealerships. This has been great, but I still have other questions. Whom can I contact about my specific needs? The Registrar’s Office is here to help you. Please contact us at 757.352.4094 for more specific questions you may have. Regent University and the Virginia Community College System (VCCS) have provided helpful information to enable VCCS students to experience a smooth transition to Regent. Learn all about Virginia community college common transfer equivalencies. Regent University participates in several tuition waiver exchange programs, which are open to full-time employees, their spouses and eligible dependents (based upon the IRS definition of dependent), after one full year of employment at Regent. Council of Independent Colleges’ Tuition Exchange Program (CIC-TEP) – CIC-TEP provides the opportunity for eligible faculty and staff or their family members to receive undergraduate and/or graduate scholarships (excluding doctoral programs) at one of the nearly 400 participating member institutions. Council for Christian Colleges & Universities’ Tuition Waiver Exchange Program (CCCU-TWEP) – CCCU-TWEP is open to undergraduate dependents of full-time faculty, staff and/or administrators who have been at the sending institution for one full year prior to TWEP participation, or according to guidelines defined by each of the participating CCCU member institutions. Graduate programs are not eligible for this benefit. The Tuition Exchange (TE) – TE is open to undergraduate students only. Tuition Waiver Exchange Program (TWEP-RU) – Regent has established individual agreements with a number of other Christian colleges and universities whereby we have agreed to provide reciprocal tuition waivers to students on a “balance sheet” basis. This is modeled after the CCCU‘s TWEP program. All degree seeking programs and levels eligible according to the agreement between Regent and importing college. The Family Educational Rights and Privacy Act (FERPA) is a federal law that protects the privacy of student education records. The law applies to all schools that receive funds under an applicable program of the U.S. Department of Education (20 U.S.C. § 1232g; 34 CFR Part 99). FERPA rights apply once a student is considered “in attendance” by the institution. Regent University defines “in attendance” as being registered for at least one class at 12:01 a.m. on the first day of the student’s first term, as determined by the official University Academic Calendar. Students who want to review their educational records must make a written request to the Registrar’s Office listing the item(s) of interest. Records of instructional, administrative and educational personnel that are the sole possession of the maker and are not accessible or revealed to any individual except a temporary substitute authorized by the maker. Records of a law enforcement unit. Student health and counseling records. Financial records of parents or guardians. Confidential letters and recommendations associated with admissions, employment or job placement, or honors to which they have waived their rights of inspection and review. Education records containing information about more than one student, in which case the institution will permit access only to that part of the record that pertains to the inquiring student. Transcripts of an original or source document which exists elsewhere. Students will be charged for these copies. Students who believe that their educational records contain information that is inaccurate or misleading, or is otherwise in violation of their privacy or other rights, may discuss their concerns with the registrar. If the registrar agrees with the students’ requests, the appropriate records will be amended. If the registrar does not agree, the students will be notified within 30 days that the records will not be amended and of their right to a hearing. Student requests for a hearing must be made to the executive vice president in writing, specifically stating the nature of their disagreement with their educational records. The executive vice president will appoint a Hearing Committee and schedule a hearing. The Committee will include: a representative from Student Services, a representative from the Registrar’s Office and the student’s advisor or another faculty member from the school in which the student is enrolled. The executive vice president will inform the student of the time, date and place of the hearing. Students may present evidence relevant to the issues raised and may be assisted or represented at the hearing by one or more persons of their choice, including attorneys, at the student’s expense. Decisions of the Hearing Committee will be final, based solely on the evidence presented at the hearing, will consist of written statements summarizing the evidence and stating the reasons for the decisions and will be delivered to all parties concerned. If the decision is in favor of the students, the educational records will be corrected or amended. If the decision is unsatisfactory to the student, the student may submit a statement commenting on the information in his or her records, or statements setting forth any reasons for disagreeing with the Hearing Committee’s decision. The statements will be placed in the education records, maintained as part of the students’ records, and released whenever the records in question are disclosed. At the end of the fall add/drop period, the Registrar’s Office sends to students a notice of the student’s right not to have student directory information released . Students may, at any time, request that directory information not be released by submitting the Confidentiality of Student Records Request form to the Registrar’s Office. Information already published will not be affected by this request. Without such written request, the university may release directory information to outside parties if considered appropriate. Students may request in writing that future releases of directory information not be made. Directory information includes: name, address, telephone number, email address, date and place of birth, major field of study, dates of attendance, degrees and awards received, the most recent previous educational agency or institution attended by the student, photograph and participation in officially recognized activities. Only the Registrar’s Office should disseminate directory information. All inquiries for such information should be forwarded to the Registrar’s Office. Student Services may distribute in-school directories to students if the school adheres to this policy. If additional information is added, the school must receive signed waivers from students whose names and other information will appear in the directory. Names or lists must not be released to outside parties. Disclosure to designated school officials with “legitimate educational interest” as defined below. Disclosure to officials of other institutions in which students seek to enroll. Disclosure to persons or organizations providing students financial aid. Disclosure to accrediting agencies carrying out their accreditation function. Disclosure in connection with an emergency if knowledge of the information is necessary to protect the health or safety of the student or other individuals. Disclosure to persons in compliance with a judicial order. Health and counseling records may be provided to physicians and licensed psychologists of the students’ choosing. Legitimate Educational Interest: Faculty and staff access to student educational records for administrative reasons is allowed provided that such persons are properly identified and can demonstrate a legitimate educational interest in the material. Student workers may have access to appropriate information as designated by the dean or department head. If a breach of confidentiality occurs, appropriate formal disciplinary action will be taken up to and including dismissal from employment. In order to remind the Regent community of the confidentiality policy, the Registrar’s Office will transmit a computer broadcast message every fall and spring to all faculty, staff and students. The definition of “Student” under FERPA refers to a person who either has reached the age of 18 or who is attending an institution of post-secondary education. At the post-secondary level parents have no inherent rights to inspect student records; this right is limited solely to the student. It is the University’s policy to release academic or financial information to parents and/or guardians of students (whether or not the student has reached the age of 18) only upon the student’s written authorization. The student may complete a “Student Information Release” (FERPA waiver), available in the Registrar’s Office or online, to grant this authorization.